It is your first day at the store. As you walk across the vast echoing parking lot you check your pocket for the pharmacy keys for the 422nd time since you left the house that morning. Your heart is rapidly beating like an albuterol overdose and your mind is swirling around; a suspension of floating, distracted thoughts. When you finally make it to the pharmacy entrance you are confronted by a long line of angry patients and frustrated technicians waiting for you to open the doors. You’re an hour late! You unlock the door and suddenly find yourself drowning in a sea of prescriptions, the flood covers your head and then…and then…you mercifully wake up. Whew. Okay. Maybe you aren’t THAT terrified. But that first day will always be etched in your mind. Though I have been a practicing pharmacist for over 20 years, I can still recall my very first day as “the” pharmacist like it was yesterday. I was scared. I can recall some of the silly fears I had like “what if I can’t figure out how to open the safe for the narcotics?” There were also more realistic fears like wondering what sorts of questions might I get asked and, of course, the ultimate fear of making an error. No matter how long you have been working in the retail setting, that first day as the “official” pharmacist on duty is one you never forget. Looking back now I should have probably spent more time thinking about my first YEAR as a retail pharmacist, rather than worrying about my first DAY. The reason is that there are a lot of things that will come your way that first year, things which you might learn more quickly and efficiently if you follow the tips I’m about to give you. The following are my 10 tips, particularly aimed toward those who are just starting in retail pharmacy. They aren’t the 10 commandments. You can ignore them if you wish. I don’t claim to have all the answers, but I’m happy to share what I’ve learned and hope that it may be helpful to you. I recommend you pick up an inexpensive memo book with pages that can NOT be torn out. Keep it near you. Use it to document significant events and questions and situations that come up during the course of the day. Did you get a question that you would like to research a little more? Write it down. Did 2 techs call out sick so that you had to work seriously short-staffed? Write it down. How exactly you use it is up to you. But documentation is a good practice, and the notebook approach makes it YOUR record for future reference. Personally I also use my notebook for keeping track of work-related passwords and contact information for individuals I might need to reach. Who are the knowledgeable pharmacists for your company that work in your area and have been doing this for a while? Know where they are and how to contact them with questions. If you have been working for the company for a while already, you may already know who to call. But if not, check with your immediate supervisor and get the names of a few such pharmacists in your area that you can reach out to. It wouldn’t hurt, on a day off, to drive to one of their stores and introduce yourself. Retail pharmacy can be very complicated, as you are soon to discover. 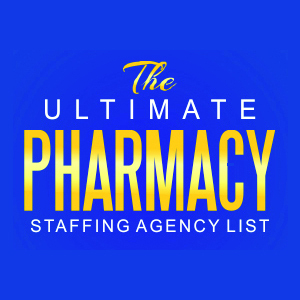 You need a short list of fellow pharmacists you can reach out to. Note: just because they have worked for the company for a while, doesn’t necessarily make them the best resource. Be picky. Find the ones that can give you good answers, not just any answers. If you are brand new, I’ve got news for you: Your techs know a LOT that you don’t. Sure, you have a great reservoir of clinical knowledge and that will be very useful. But running a retail pharmacy involves a lot of software knowledge, policy knowledge, customer knowledge and multitudes of other bits of information that your good techs can teach you. Don’t be proud. Ask them to show you how to do what they do. Learn it. The more you know the more comfortable you will be in this setting. You can’t learn it all in a day or week. But if you build a good relationship with your talented technicians you can learn an awful lot very quickly. Whether we like it or not, successfully adjudicating claims to insurance companies is a significant part of this job. If your mindset is that it “isn’t my job” to handle that, you will always be somewhat at a disadvantage. The fact is that you will have MORE time for important interactions with your patients if you are not always hung up trying to figure out billing problems. Many pharmacists keep a separate “3’rd party cheat sheet” book of some sort to write down all the things they need to remember (e.g. what is the BIN number for our state Medicaid? How do you bill Medicare Part B for test strips? How do we handle workman’s comp?). Check with one of the veterans (see tip #2) and see if they already have a cheat sheet you could peek at and copy. Every pharmacy filling software will prompt you with potential drug and/or therapy interactions. You will need to figure out when and if you will call a provider and how you will counsel your patients. Some things are pretty clear. For example, I’m assuming you will NOT dispense Celebrex to a patient with a true allergy to sulfonamides. Rather, you will contact their prescriber for an alternative. However, you probably WILL dispense a cephalosporin to a patient with a documented penicillin allergy since cross-sensitivity is extremely rare. Ibuprofen 800mg dosed 4 times daily is a bit higher than normal (3 times daily is typical), but probably not alarming for a normal weight adult. Ibuprofen 800mg dosed every 4 hours for pain is probably inappropriate, and likely a mistake. When will you call? When will you counsel? As you work through how you will approach these scenarios, start to develop a personal protocol that you use. Most pharmacies will have some sort of business summary document. This won’t necessarily be your primary focus right away, but as you grow more comfortable with the dispensing process you may want to learn the business metrics important to running a retail pharmacy. How many inventory turns is ideal? What is your average 3rd party gross margin? Your average cash gross margin? What percentage of your prescriptions are from brand new patients? How does that compare to last year? What are your top 3 business expenses? How are they currently marketing your pharmacy? What are the company policies for vacation time, sick time, leaves of absence, disciplinary procedures? Again, the more you know about your work environment, the more comfortable it becomes, and (in my opinion) the better pharmacist you can be. I blow this trumpet a lot. In my opinion it is one of the most important things you can do to develop your skills as a pharmacist. It is very simple. When a patient starts a new medication, plan on calling them up in about 3-4 days and check on them. That’s it. Many times they will have no questions. But even then, they will almost always appreciate the call and YOU learn valuable lessons about real-life medication usage and concerns. Document this activity using your notebook or another designated document. One of the biggest fears new retail pharmacists have is whether or not they will be able to keep up. Listen to me, as I’ve trained pharmacists for 2 decades now: you DON’T learn speed. You learn software. You learn keystrokes. You learn protocols. You learn shortcuts. You learn processes. But you don’t learn speed. Speed comes as you grow familiar with the whole atmosphere and develop certain habits and routines that work for you. Don’t ever skip steps that are designed for patient safety just to move faster. Don’t do it. Check, double check, triple check if you must. But don’t allow the pressures of an angry patient or pushy technician to force you into skipping steps that are important. When I work with my students I challenge them to be able to (off the top of their heads) tell me the indication(s), normal dosing, common side-effects and at least 3 counseling points for at least the top 100 drugs. What will you say to the patient picking up “X” prescription for the first time? Hopefully your pharmacy school training will have prepared you for this, but if you feel a bit rusty, it may be time to break out the flash cards and brush up. Don’t stop the process of continuing to learn. Every week there will be new drugs approved, new side-effects discovered, new OTC products on your shelf. How you go about keeping informed and up to date is the topic of another blog post. Suffice it to say that in our day and age there is no shortage of accessible resources to keep you sharp on the issues most related to this practice setting. So those are my tips. No one sat me down and told me these things before I started. I’ve learned them on my own over the years. 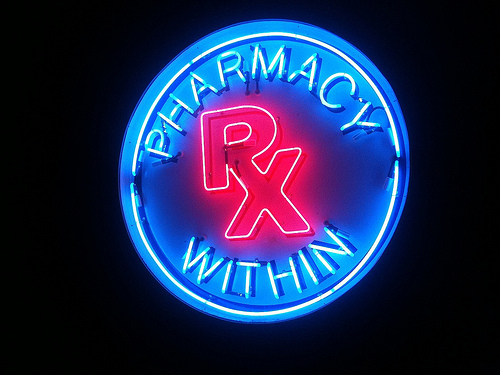 Are you a retail pharmacy veteran yourself? Share your own tips and experience below, and share this article with others. i’ll be graduating next year and will most likely move up in the retail store i work in from intern to pharmacist. Thanks so much for the advice! ready, all you need are labels to go onto the prescription and the bag. you cannot hand out prescriptions until they are properly labelled.